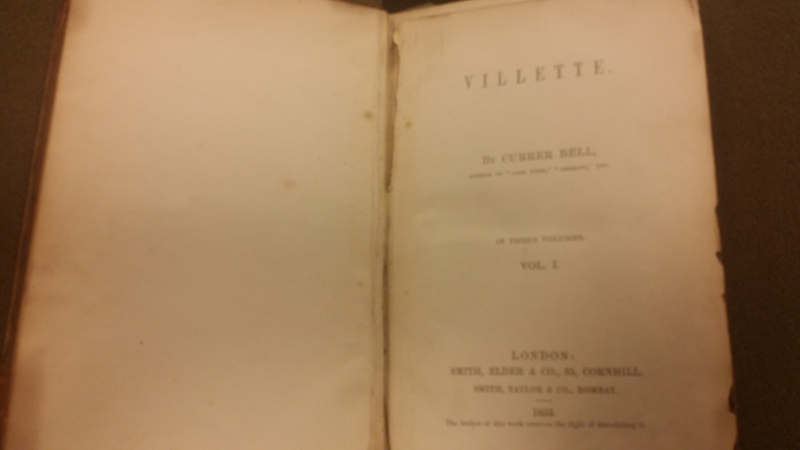 Villette is a novel written by Charlotte Brontë, published in three volumes in 1853. It was the author’s third novel and the last that was published during her life. 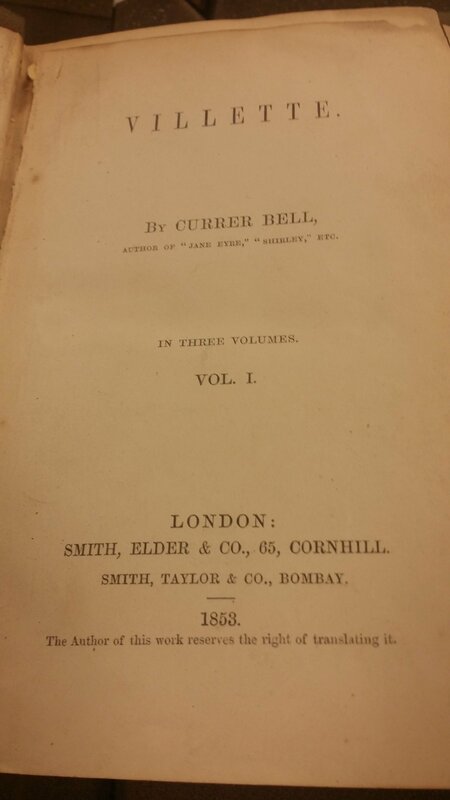 Brontë wrote under the pseudonym of Currer Bell. 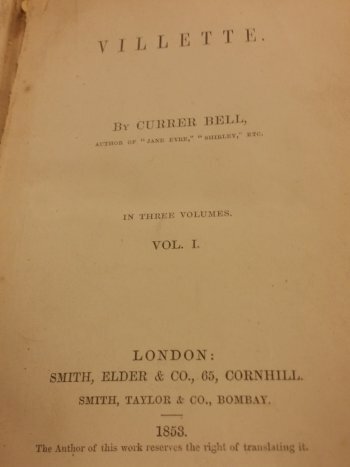 The publishing firm is Smith, Elder, and Co. The outside of this book is in poor condition. 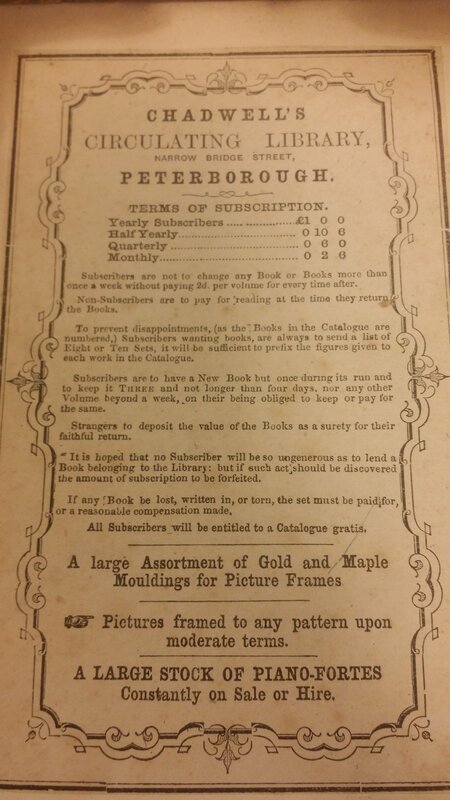 This book would have had many handlers, since this copy once belonged to Chadwell’s Circulating Library. 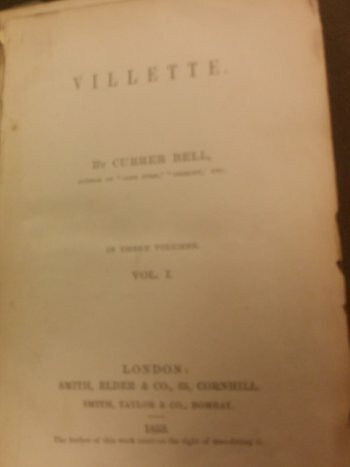 The cover also has a Chadwell’s Circulating Library label on it that is torn and faded. Probably there used to be a book jacket that was lost or ripped long ago. The spine of the book is badly chipped. The contents of the book are in fair condition. Only the very first couple of pages have lifted away from the spine. 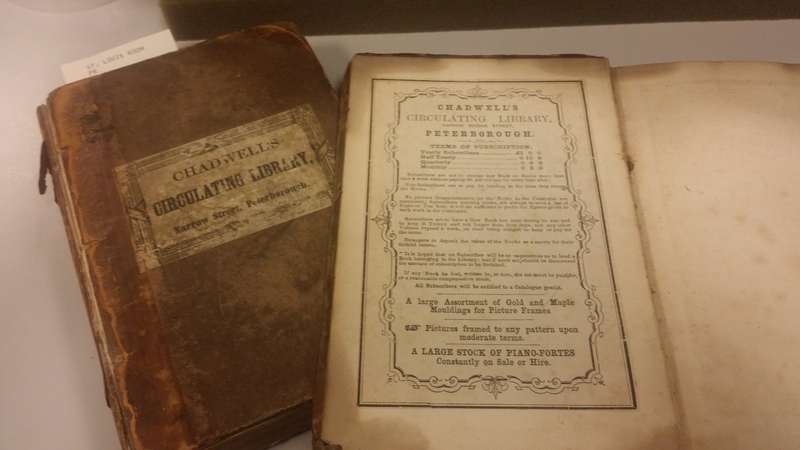 On the inside cover, there is a label placed by Chadwell’s Library that outlines the rules the subscribers must adhere to and the terms of subscription. The three-volume novels weren’t actually priced to be sold to individual readers or households. 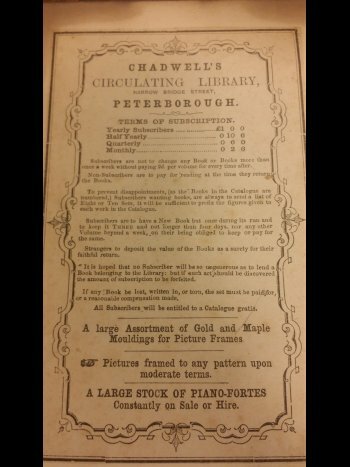 The majority of buyers were the private circulating libraries, such as Chadwell’s, that controlled the new fiction book trade. Lending out triple-deckers by the volume allowed libraries to circulate parts of a novel among three subscribers at once. 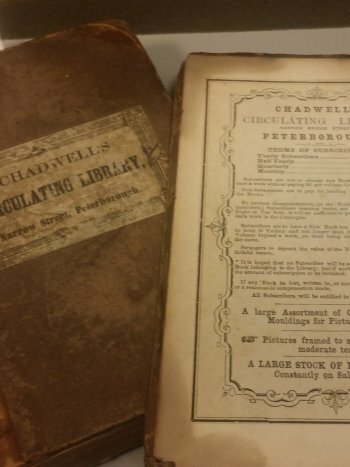 Chadwell's was not the only influential circulating library during the Victorian era. Between 1842 and 1894, Charles Edward Mudie's lending library influenced Victorian literature. The library made sure that almost all novels appeared in three volumes and acted as a censor, controlling the subject, scope, and morality of the novel for fifty years. Three-volume novels and library subscriptions were the middle-class Victorians’ main source of new secular writings. The three-volume novel mirrored the values of the mid-Victorian middle class. Most of the new novels written in the Victorian era were books done in multiple volumes specifically aimed for the middle-class public.